The Kratom tree originates from Southeast Asia, where inhabitants have been using it for years because of its medicinal benefits. Mostly, it was used as a stimulant due to its energy boosting properties. Most workers in countries like Thailand and Malaysia perform labor-intensive work that takes a lot of physical and mental strain. So, manual workers would chew on the leaves of the Kratom tree whenever they needed an energy boost. The plant enabled them to perform painstaking work for hours with a cheerful disposition and without losing vigor or focus. Since its introduction to the West, Kratom has become incredibly popular among different users. Most people use it to relieve pain, increase energy, reduce anxiety and depression while boosting mood. Millions of people currently take Kratom despite the FDA’s efforts to ban the plant. The problem often comes when people are trying to decide how to take Kratom. The truth is that Kratom is quite easy to consume and administer because it’s available in a wide variety of different forms, including powder, capsules, tablets, and extract. In this article, we’re going to share with you how to take Kratom safely and give you the pros and cons of each consumption method. This will hopefully help you to figure out which form of Kratom you should purchase. Read on for more. Kratom powder is produced from the leaves of the Kratom tree. Growers harvest the leaves once they’ve grown to maturity, after which they dry them through natural methods and then ground them up into a fine powder. Manufacturers use different processing methods for each of the various strains. Kratom powder is widely available and easy to access. It also makes it easy to find your preferred strain. Plus, it gets into the system quickly and effectively. This means that you’ll start to notice a difference within a shorter amount of time than it takes for things like capsules to take effect. With Kratom powder, the results tend to be more intense as well when compared to other methods. Kratom powder tends to be cheaper than capsules and extracts since manufacturers only need a few steps to pack it. Wondering how to take Kratom in powder form? Well, Kratom powder can be consumed in many different ways, with the most popular one being the “toss and wash” technique. This involves taking a scoop of Kratom powder into your mouth followed by a generous swig of water to wash it down. Alternatively, you can sprinkle it onto your smoothies, juice, and yogurt or even brew it as a tea. With that said, Kratom powder is not a perfect or flawless consumption method, as you’ll see from the disadvantages listed below. The most obvious disadvantage of taking Kratom in powder form is that you’ll have to endure its bitter taste. Its flavor is very similar to strong green tea or matcha, and it’s an acquired taste. While some people are willing to endure it, most users say that it’s unbearable. The good news is that some Kratom powders are milder than others depending on the particular strain. Some online vendors are even willing to tell you how their powder ranks on the flavor scale. Keep in mind that you need to measure Kratom powder each time before you take it carefully. This can be quite tedious, especially if you’re taking it on the road because it’s not very portable. You may have to think twice before you take it to the gym, at work or while performing outdoor adventure activities. Capsules are arguably the most popular form of Kratom because they’re easy to take and easy to travel with. You don’t have to worry about measuring the dosage before you take them because that’s already taken care of. Kratom capsules are remarkably comfortable and convenient to take. Each capsule comes pre-measured with the correct dose to make sure that you never take too much or too little. There’s no mess involved because you won’t need to prepare the powder before you take it. It comes neatly prepared in portable capsules that you can take with you to work, to the gym or even on vacation. The best part about Kratom capsules is that they hide the bitter taste of Kratom powder so that you never have to deal with its aroma or flavor again. First of all, Kratom capsules are more expensive than the powder because of the time and effort it takes to manufacture them. Tablets are not as prevalent or widely available as powder because only a few Kratom manufacturers make them. You also have to consider the fact that the availability of Kratom capsules is not always guaranteed because only a few vendors sell it. Vendors mostly sell one Kratom strain in capsule form, while their powders will offer a lot more variety. Because the gelatin capsules cover the powder completely, it’ll take a considerable amount of time before you start to experience its effects. Plus, many users say that Kratom capsules don’t have the same intensity in terms of the impact. Also, the gelatin might trigger specific side effects or even upset your stomach. The gelatin coating may also contain harmful chemical additives that could affect your health. That’s why experts recommend buying Kratom from a reliable vendor that has a good reputation. It’s important to note here that due to the nature of gelatin, Kratom capsules may not be suitable for vegans and vegetarians. The best option for veggie consumers is to take Kratom powder instead and make your DIY capsules using a vegan-friendly coating. It’ll work out much cheaper and more satisfactory that way. Kratom extract is the most potent and concentrated form of this plant. It’s manufactured through a process that involves brewing the powdered or crushed leaves to create a thick paste. This paste is fashioned into a Kratom tincture, oil and resin and contains the most concentrated form of the plant. Kratom extracts usually feature a numerical grading on the package which indicates how much Kratom is in each gram. For example, if it says “10x”, it means 10 grams are used to create 1 gram of Kratom extract. The Kratom extract lasts longer because you only need to take a little bit to feel the desired effects. If the extract you’re considering is in liquid form, then your body will assimilate it much faster than powders and capsules combined. How to take Kratom in extract form depends on your preferences. Kratom extracts come in the form of topicals and tinctures that you can apply to your skin to avoid the bitter taste of the herb. You can even make your Kratom soaps or body lotions using this highly concentrated extract. The Kratom extract is by far the most expensive form of Kratom that you can buy. That’s because it takes a lot of time and manual labor to produce it, not to mention the specialized expertise that’s needed to ensure the correct measurements are followed. 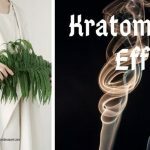 Furthermore, it’s not uncommon to find Kratom extracts that contain other substances like opioids, and this can be detrimental to someone that wants to get clean and overcome an opiate addiction. 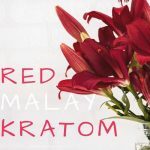 So, if you choose to purchase Kratom in extract form, then you should buy it from a reliable vendor that you’ve been using for an extended period. Whatever you do, never go for the vendor with the lowest prices because this is not always a good choice. You want to have an authentic Kratom extract that’s only filled with the beneficial alkaloids of the plant and nothing else. 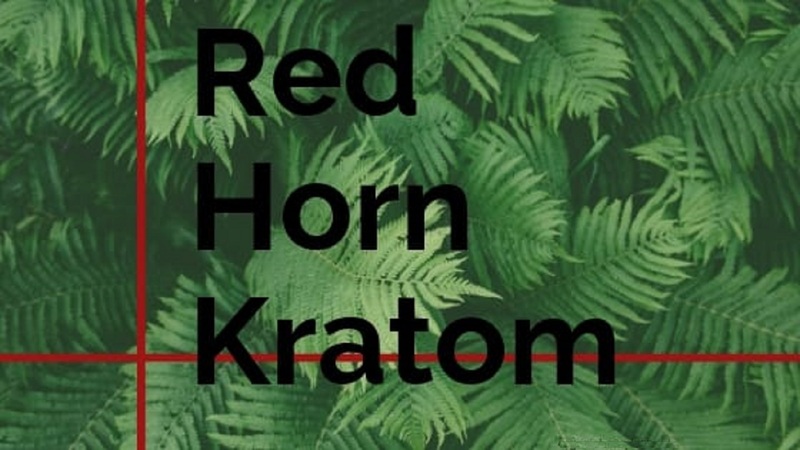 We’d be remiss not to mention that taking Kratom extract may accelerate the user’s ability to develop a tolerance for the plant because of its strength and intensity. You see, it’s difficult to measure an accurate dosage when you’re taking a Kratom extract because different strains come with varying levels of the concentrated herb. That’s why Kratom extract is often recommended and reserved for long-time users of the plant because beginners may not be able to handle the dosage and the possible tolerance issues that ensue. brew up according to your preferences. There are a few vendors that sell Kratom leaves to interested customers, plus they come without the stems and veins, so they’re easy to consume as well. Beware that Kratom leaves are very potent and the intensity may differ from what you’re used to with capsules and powder. This is because the leaves have higher alkaloid content. It’s easy to figure out how to take Kratom in its original leaf form because your only two options include chewing it or brewing it like a tea. Just make sure you’re comfortable with the taste of Kratom or else you may not enjoy consuming the leaves as much. While we can’t tell you how to take Kratom, our personal choice would have to be the powder. That’s because it’s easy to access, doesn’t come with any additives, and it’s much easier to use in the long run. Of course, the taste and intensity of its effects will depend on the type of strain that you choose. But then again, it doesn’t matter what form your Kratom comes in because the most important thing is that you pick the right vendor. Make sure that yours is a reliable and trusted supplier with positive online reviews. They should also be willing to show you their lab test results to prove the authenticity of their different Kratom strains. Yes, you may smoke your Kratom if you like and it’s one of the most popular methods of consumption in the East. But, it’s not the most effective because you could smoke as much as 20 grams of it and only feel as though you’ve taken 5 grams. Smoking Kratom is natural because all you have to do is roll the powder along with an organic smoking blend in a rolling paper. The half-life of Kratom depends on the particular strain as well as the amount that you take. It’s essential that you take Kratom on an empty stomach so that it can stay on your system for about 5 to 6 hours. Other strains like Green Malay may last longer, up to 8 hours to be exact. Keep in mind that Kratom is similar to coffee so it will dehydrate you. Make sure you drink plenty of water to stay hydrated and avoid getting dehydrated. We should add that every Kratom strain is different and will have a different effect and mechanism of action. Some strains should be taken on an empty stomach, while other strains require you to eat something before you take them. Another pro-tip that most people don’t know about is that if you take a walk after consuming Kratom, you’re more likely to experience the effects faster and more effectively. That’s because walking will get your blood flowing so that the alkaloids can travel and reach your system more quickly. Kratom is one of the most fantastic healing herbs in the world. It’s great for alleviating chronic pain, increasing energy, reducing anxiety and stress while elevating the mood. It’s available in many different strains, and you’re spoilt for choice when it comes to the different intake methods. There are no hard and fast rules on how to take Kratom. Each consumption method comes with its advantages and disadvantages and depends on the preferences of the user. The only golden rule is to purchase your Kratom from a reliable vendor and use the method that is most beneficial for you.